The return leg of a day in Leicester, stopping at Kettering, Wellingborough and Bedford. 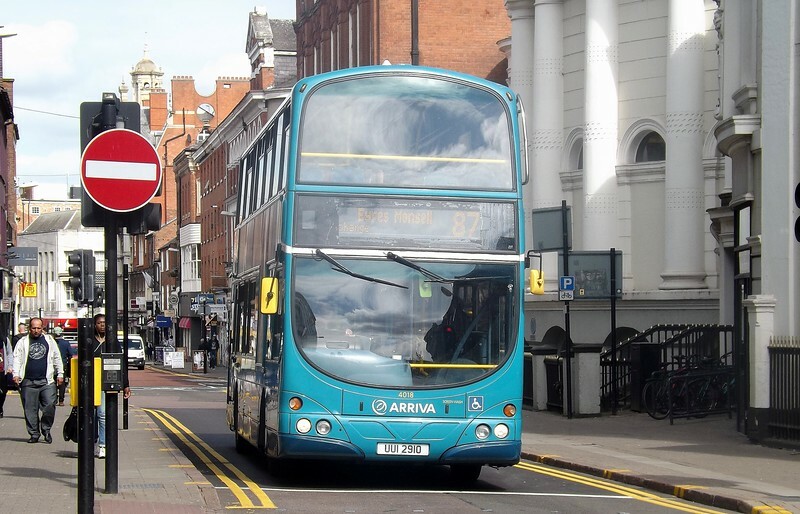 Arriva Wright Gemini UUI2910 4018 in Leicester, 22/04/2015. Arriva Fox Country Volvo Wright Eclipse Gemini UUI2910 4018 in Leicester on the 87 to Eyres Monsell, 22/04/2015.